We are exceptionally grateful to all our co-sponsors for coming on board this year especially in these very trying times. We also welcome 'The Fighting Back team' on board, who will be joining and assisting us in our annual plight. Will commence on Friday, 26th August 2016. Will commence on Friday, 2nd Sept - Friday 9th Sept 2016. Times: 9am - 6pm. Registration is $4.00 per person/child. Free T-Shirts and a car license sticker will be handed out and indemnity forms will be signed, therefore easing the congestion on the day of the walk. Should we run out of t/shirts a $2.00 registration fee will be charged and you may wear any of the previous Cancer Walk T/shirts or a bright colour of your own. Stay tuned to our events page for more information, diarise the date now and share this with all your friends! 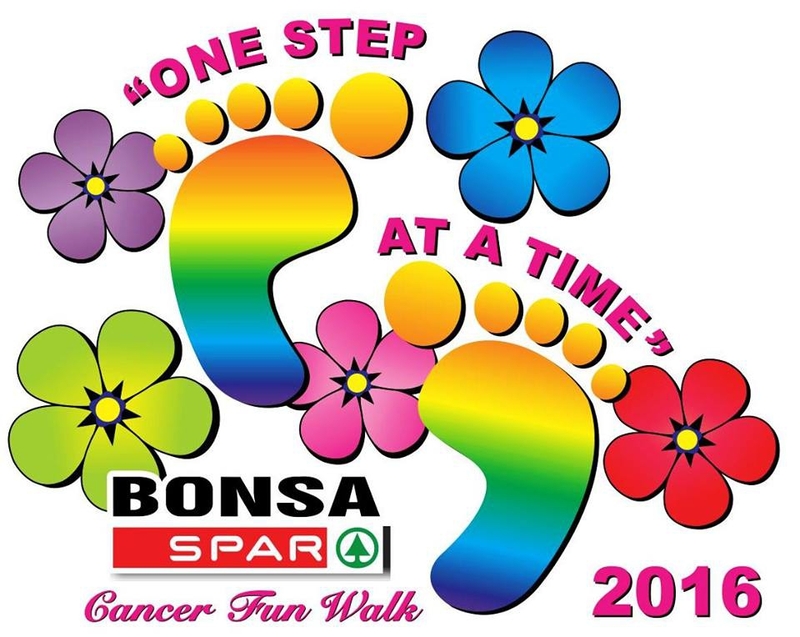 Let's help support those living and fighting cancer - ONE STEP AT A TIME.